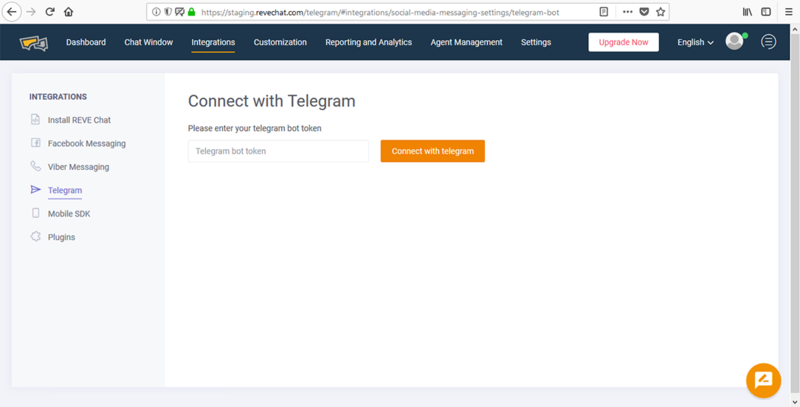 Connect your Telegram Business account and manage your customer Communication on Telegram with REVE Chat Platform. Chat with your customers directly on Telegram app from REVE Chat dashboard. Manage the communication in between your customers and agents by transferring chat session and monitor the performance. Manage you Telegram app efficiently with our REVE Chat dashboard. Understand your customer needs and manage agent’s productivity in better manner. 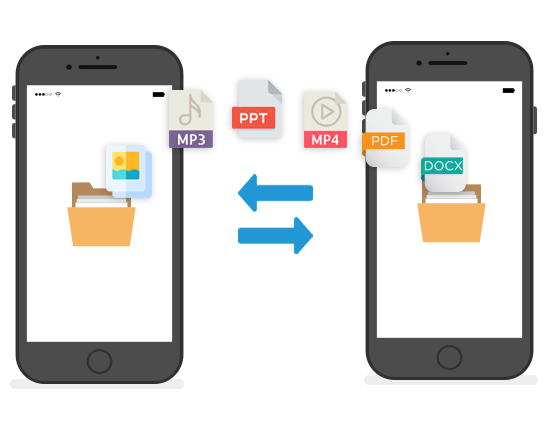 Transfer different types of content like images, videos, audios and different file formats with REVE Chat dashboard. By having a strong encryption algorithm your data files are safe in this application. To create a new bot, you need to create an account in Telegram. To know more click here. Follow the instruction of bot father. Create bot name which is easy to remember for your users. 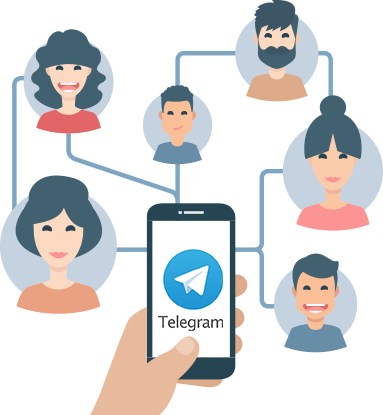 Once you create an account in Telegram, you will get a ‘bot token’ from bot father which you need to enter during the integration process. Next, login to REVE Chat dashboard and select ‘Telegram’ under ‘Integrations’ from top menu. 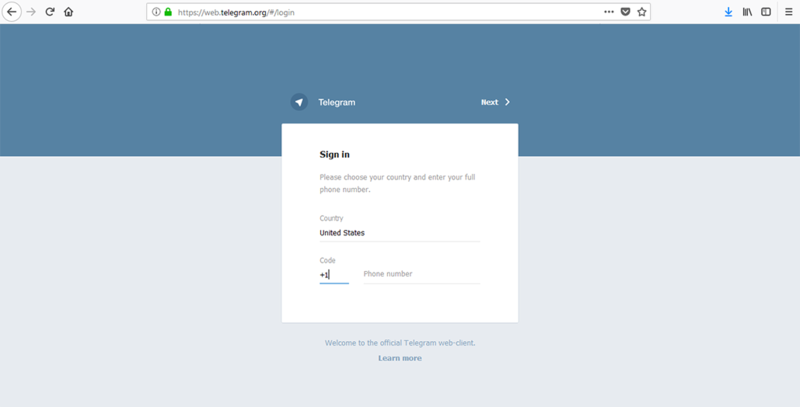 Here paste the ‘bot token’ in the given box and click on ‘Connect with Telegram’. That’s it. 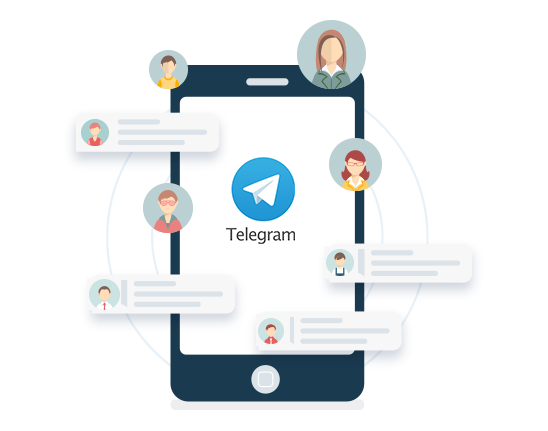 You have successfully integrated REVE Chat with Telegram. 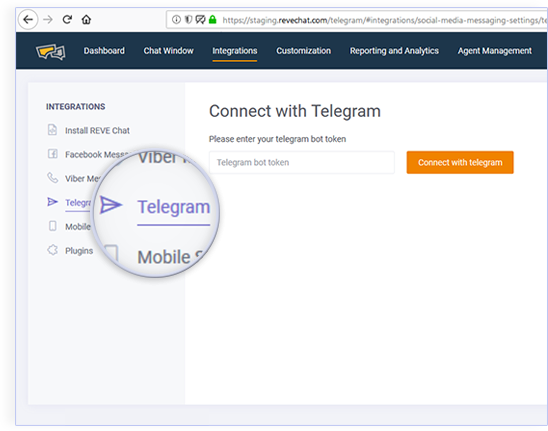 Now, you will be able to receive and respond to the Telegram messages from the REVE Chat dashboard itself. Live chat service on your website for offering instant assistance to the visitors. The online chat software allows customers to initiate voice/video chat with the support team for instant help. Allow customers to live chat with you directly from the Facebook company page through Facebook messenger. Integrate Viber with this website live chat software and let customers send you messages from Viber. Route chat requests to specific departments and allow them to live chat online with the right agents. Know website visitors by their names, geographic locations, current page visits etc. and offer more personalized support. As an online chat software, it automates your live chat assistance through personalized triggers. Add live chat service to your Android mobile application in a few minutes with mobile SDK.